As a credit union community founded on the principle of people helping people, giving back is in our DNA. 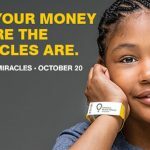 Together with thousands of credit union partners we have raised over $20 million for Children’s Miracle Network Hospitals (CMN Hospitals) nationwide to help fund vitally important research, capital investments and other patient care resources. Now we’re making it even easier for credit union members to donate to CMN Hospitals through our Sprig by CO-OP app. Available for download today, the latest version of Sprig by CO-OP, our turnkey mobile banking and money management app, will have a new feature that takes users directly to the Credit Unions for Kids (CU4Kids) website donations page. With Sprig by CO-OP, credit union members can use their mobile device to access their accounts, make remote deposits, transfer between accounts and make person-to-person payments. As credit unions, our mission is to empower peoples’ financial well-being. 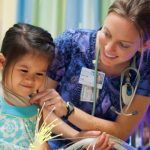 For more than two decades, CO-OP has championed CMN Hospitals and CU4Kids by raising funds and awareness throughout our credit union community. Making it easier and more convenient for our credit unions and their members to help give back to their communities will help us in achieving that goal. If you are interested in joining our Miracle Match program, CO-OP is now accepting applications for 2018. Visit us online for more information and to apply.